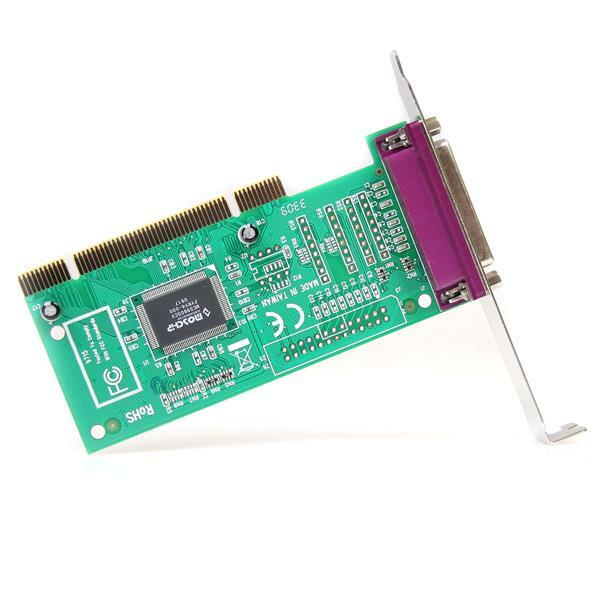 This high performance PCI based EPP/ECP parallel adapter card can be installed in a computer PCI slot to add one IEEE 1284 parallel port to your PC. A cost-effective way to connect parallel devices to the computer, with data transfer speeds of up to 1.5 Mbps (up to 3 times faster than on-board parallel ports). 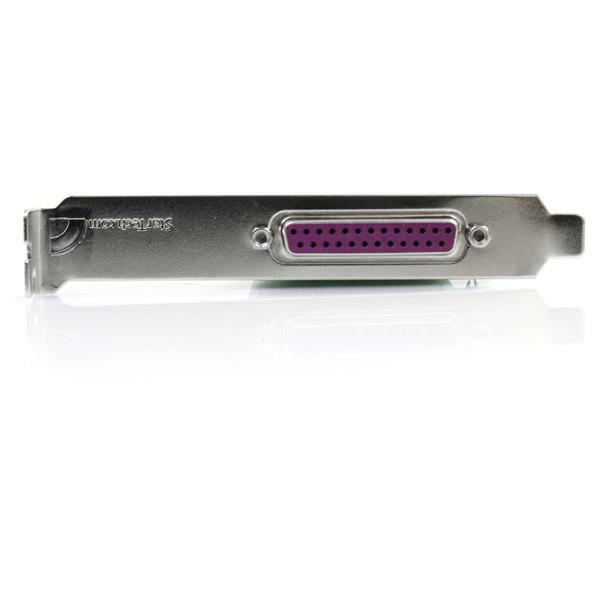 The adapter card supports EPP, ECP, SPP and BPP parallel communications, and is simple to install in virtually any PC. 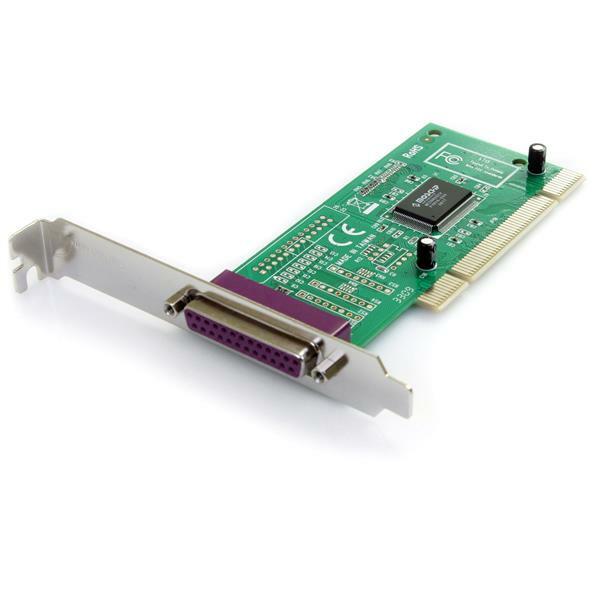 The card supports Windows® and Linux®, plus IRQ sharing and plug and play capabilities guarantee convenient, hassle-free connections to any parallel peripheral. 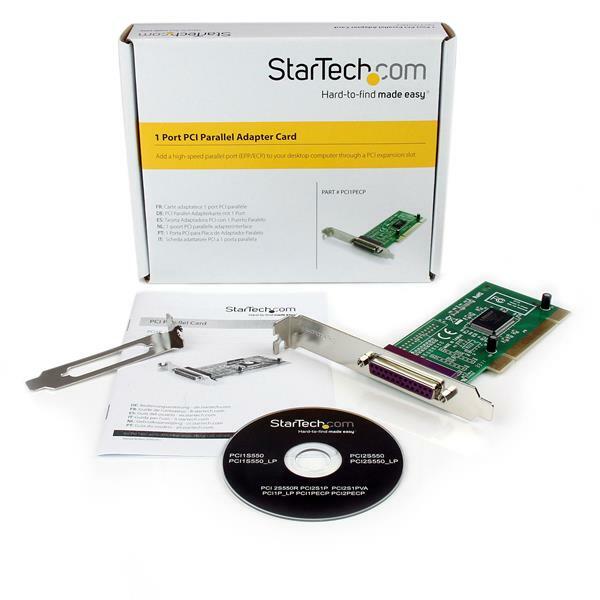 Is there a different or more advanced way to install my parallel card in Windows Vista / 7 / 8 / 10? Right-click PCI Simple Communications Controller, which will have a “!” or “?” next to it to indicate a driver issue. Use the parallel cable, parallel port, and parallel device in another setup to see if the problem is with the components or the setup. Use a different parallel cable, parallel port, and parallel device in your setup to see if the problem persists. Ideally, you should test a component that you know works in another setup. Press the Windows key + R, type devmgmt.msc, and press Enter. Check to see if the parallel ports and parallel device is listed under Ports (COM & LPT). Make sure that the LPT port number is the correct number for the parallel device and that the software being used to connect the computer to the parallel device uses the correct LPT port number. Note: Some parallel devices only work if the LPT port number is between a certain range, usually LPT1 or LPT2. When I send jobs to my parallel port in Windows 10, it does not print. What do I do? This issue was the result of a Windows update that has recently been fixed in the KB3140743 update. If you are still experiencing this issue, download the latest Windows update. Expand the section for Ports (COM & LPT). Right-click on the LPT port that is experiencing the issue. Under Filter Resource Method, select an option that is not currently selected.